Health systems transitioning to value-based payment models have to make sense of the reams of clinical and financial data they collect each day. It's a large and complex data set—but also a highly valuable one. Buried within it are the answers to a multitude of questions that vex doctors and administrators: How can we shorten length of stay after colon surgery? Why are we seeing so many insurance denials? What is a cardiac patient's risk of having another heart attack? Ayasdi, a technology company based in Menlo Park, Calif., relies on machine learning and machine intelligence to tackle vast, multidimensional data warehouses. Its technology can find patterns in unorganized data sets that less-sophisticated algorithms are likely to miss. Ayasdi's platform is the first commercial application of a mathematical technique known as topological data analysis, or TDA, which was developed by mathematicians at Stanford University. 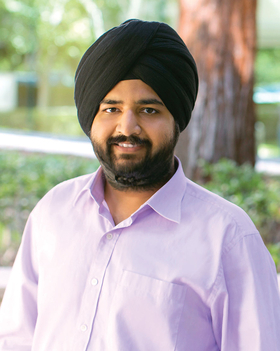 The company grew out of research conducted by Gunnar Carlsson, a Stanford math professor, and his then-graduate student, Gurjeet Singh, to apply TDA principles to real-world problems. Carlsson's work won $10 million in grants from the National Science Foundation and the Defense Advanced Research Projects Agency. Then in 2008, Singh and Carlsson created Ayasdi, and they are now its CEO and president, respectively. Its healthcare platforms, launched in 2014, include Ayasdi Care, which mines electronic health record and claims data, and Ayasdi Cure, which is used by pharmaceutical and biotech companies to identify biomarkers and drug targets. The company also works with health insurers and financial services firms. Ayasdi is most often compared to IBM Watson, which also uses machine learning to find patterns in unstructured information. But Druker likened the Watson platform to a “large library in the sky,” while Ayasdi focuses on combing through an organization's own data. In that way, it can help figure out why Medicare might be denying infusions for a particular hospital's oncology patients, for example, or detect billing fraud. Innovation An applied math concept known as topological data analysis finds patterns in vast and complex data sets. The technology has applications in population health, drug discovery and revenue-cycle management. Status Founded in 2008, the venture-backed company has raised more than $100 million and works with dozens of health system clients. At Chesterfield, Mo.-based Mercy health system, physicians wanted to develop care pathways using insights from their own patient encounters, not necessarily what doctors were doing elsewhere. That led the system to Ayasdi, and it became one of the company's initial clients. One best practice they uncovered was in total knee replacement surgery. Ayasdi's analysis found that patients who received the pain drug Lyrica before surgery needed fewer narcotics after their operations and had a shorter length of stay. Ayasdi produces monthly reports, which can track outcomes based on how well physicians are following the care pathways. For fiscal 2016, Mercy is projecting $15.8 million in savings with a median use rate of 56% for the new protocols. It believes it can achieve savings of $20 million if it can increase compliance with the care pathways to 70%. The savings have come from reducing variations in care as much as making changes such as using a less expensive device, he added. Ayasdi's healthcare clients include dozens of health systems such as Salt Lake City-based Intermountain Healthcare; UCSF Health, San Francisco; and Mount Sinai Hospital, New York, as well as pharmaceutical and insurance companies. It has raised in excess of $100 million from investors that have included Kleiner Perkins Caufield & Byers, Khosla Ventures, GE Ventures and Citi Ventures. It also is working on population health- management projects, such as using genomic data to help predict a patient's risk of developing a chronic condition.